Enjoy yourself at a fun center in Vancouver WA! Sometimes when you have a day off, you know exactly what you want to do. You go do the one thing, and you’re happy with it, because it’s what you set out to do for the day. Other days are a little more ambiguous. You might not want to commit to a single activity because all of them sound equally enticing (or not so much, depending on the day). Sometimes, you want options. For these days, there’s something to solve this problem. When our roofing contractor is working on your home, take some time to enjoy yourself! Just like pets get all sorts of activities at pet boarding facilities, you and your family have a variety of options at a fun center. And Vancouver WA has a few good ones to choose from! Going outside isn’t always an option. And even if it is, not everyone will agree it’s the best one! When the outdoors aren’t in the picture for whatever reason, there’s Big Al’s off SE 18th St. Primarily a bowling alley, Big Al’s offers much more than a few pins to be toppled by a heavy ball. There’s an arcade, beer on tap, and plenty of food too! It also helps that nearly every day has a different special. Take the Family Fun Pack for instance. For less than $14 a person, young kids can enjoy lightweight bowling balls and bumpers with their two games of bowling and shoe rental. And they’ll also get a $5 fun card good for anything at Big Al’s! While still an indoor activity, nobody can make the claim that G6 Airpark doesn’t keep customers active. 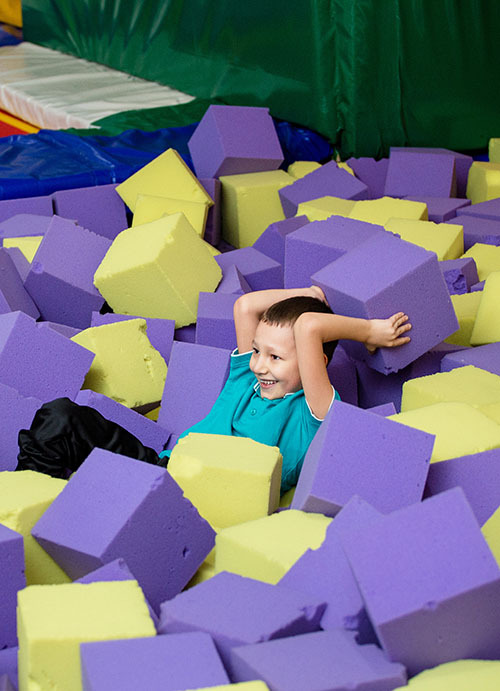 Burn calories the fun way at this trampoline park that’s sure to tire you out. Besides the typical trampolines en masse, this fun park has a lot more to offer, including special events. One of these is Dodge Ball. For adults who actually enjoyed high school P.E. this is another chance to shine, while the lithe and agile can put their reflexes to good use too. And for those little guys that never thought they’d get a chance to dunk a basketball, the Dunking Station is right up their alley!